Chandigarh 02nd June:- Surender Rana has joined as General Manager, Network – 1, Chandigarh Circle. 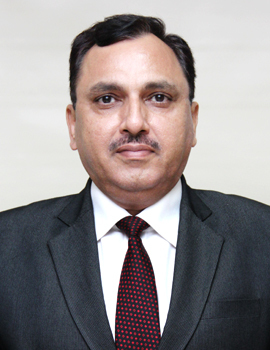 Surender Rana started his career with State Bank of India as a Probationary Officer in 1991. In his illustrious career of 26-1/2 years, he has held very important assignments in various fields like Retail Banking, Credit Management, Foreign Exchange (I.B) and Special Projects in SME. Previously, he was heading e-Commerce vertical in the SME Department atCorporate Centre, Mumbai. Surender Rana has come to Chandigarh on promotion from Corporate Centre, Mumbai.